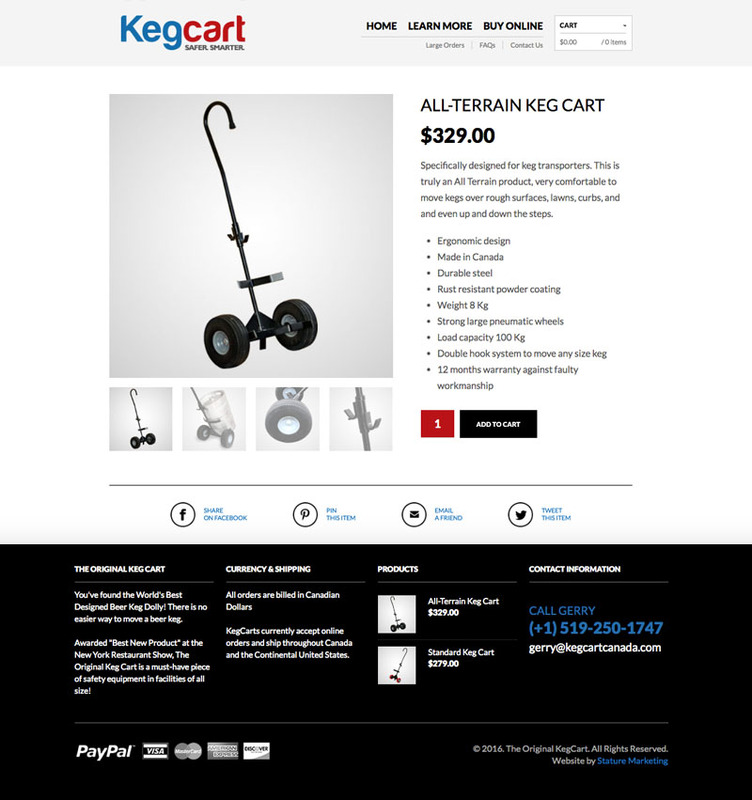 We worked directly with the owner of Kegcart Canada to develop a new logo, marketing collateral, and most importantly develop an e-commerce website that would increase visits and drive sales. The new website is extremely effective, sitting at the top of search results for many keywords, attracting visits, and converting sales. Online sales are now a major contributor to the bottom line. 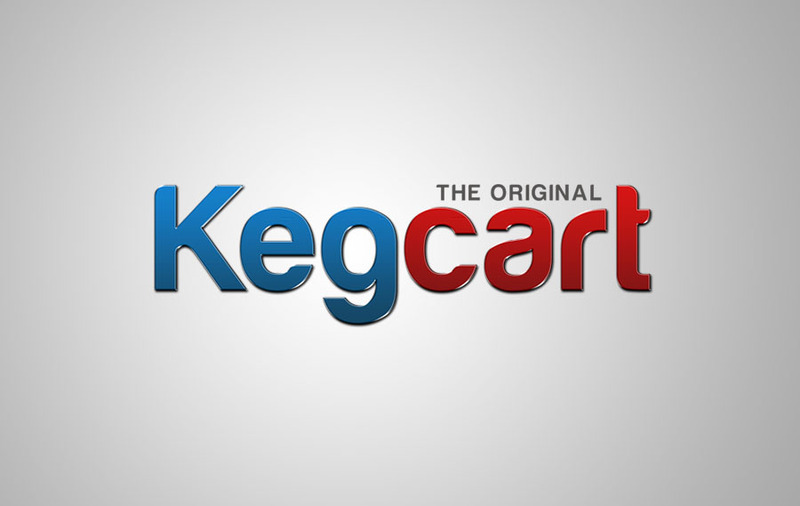 The new Kegcart logo displays an industrial look that represents the durability and strength of the product. The e-commerce website was developed using Wordpress. The site design is extremely user friendly, consistent with the brand image, and uses mobile-friendly responsive design. 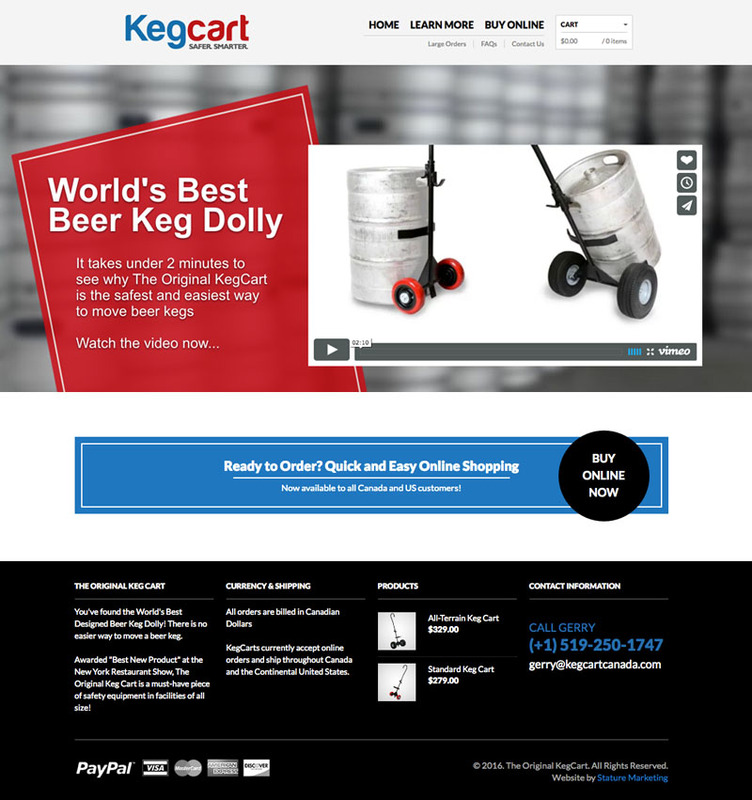 The homepage features a product introduction video that immediately educate the visitor. Buying online is a consistent theme promoting visitors to purchase online. The E-commerce engine is driven by Woocommerce. Managing products, orders, and delivery details is extremely powerful and simple. The product pages are cleanly designed and focused on education information that sells the benefits and value.